Washington | Strike of Lightning! 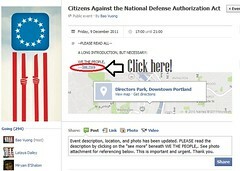 National Defense Authorization Act- signed into law Dec 31, 2011! Last month, the US Supreme Court already evoked the NDAA by using its detention provisions to justify the continued imprisonment of an alleged terrorist, Musa’ab al-Madhwani. Bolivia says no! to US Drug Agents in their country! Diplomatic relations OK! DEA No! Evo Morales, the Bolivian president, has said that US drug agents are not welcome back in his country despite the newly announced normalization of diplomatic relations with Washington. Morales told reporters in Bogota on Tuesday during a regional summit in the Colombian capital that it was a question of “dignity and sovereignty”. As a coca growers’ union leader before his 2005 election, Morales said he was “personally a victim” because US agents controlled Bolivia‘s military and police. Bolivia’s anti-narcotics police, working closely with the US Drug Enforcement Administration (DEA), often clashed with coca growers and Morales has said they once beat him unconscious. “They repressed us in Bolivia. That has ended,” Morales said. “For the first time since Bolivia was founded, the United States will now respect Bolivia’s rules and laws,” he added, under the agreement restoring full diplomatic ties that Bolivia and Washington signed on Monday. The deal comes three years after the Andean nation’s leftist government expelled the US ambassador and DEA for allegedly inciting the opposition. The pact calls for the restoration of ambassadors as soon as possible and close co-operation in counter narcotics, trade and development, said a US official familiar with the agreement. Morales said that he still considered the ambassador he expelled in September 2008, Philip Goldberg, to have been “a conspirator”. Less than two months later, he ejected the DEA. Washington denies the Bolivian government’s allegations that Goldberg schemed with lowlands agribusiness people to unseat Morales, an Aymara Indian raised in the country’s poor highlands. The 12-member super committee is Nothing but a Lie! The 12-member super committee created to slash the federal deficit is powered by the threat that if it doesn’t come up with $1.2 trillion in savings, automatic, across-the-board cuts will be instituted to reach that same goal, with half of those cuts hitting the Pentagon. The supposed across-the-board cuts aren’t slated to go into effect until January 1, 2013. Put more simply: They might not ever go into effect. A host of other tax cuts and credits will expire on the same day, including the alternative minimum tax, ethanol tax credits, renewable energy credits and others important to businesses, the wealthy and the middle class. A lame duck Congress would have two months after the 2012 election to stave off the expiration of both that tax policy and the super committee’s “automatic” cuts. 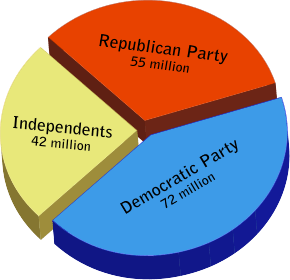 The most likely scenario: The super committee locks up along partisan lines and, after the 2012 election, bipartisan negotiators deal with the tax cuts and the super committee’s sequestration cuts, along with a basket of other expiring provisions, in one set of negotiations. Democrats will be pressured by the coming sequestration, while Republicans will be motivated by the expiration of the Bush tax cuts. And all of their negotiations will take place in a political and economic climate impossible to predict today. While many have portrayed the super committee as having some sort of automatic axe, other observers haven’t bought the idea. Stan Collender, a Democratic budget expert and consultant to Wall Street and Washington lobbyists, saw through it quickly, writing a report for Qorvis Communications downplaying the likelihood of the automatic cuts.